INTERPOL’s Internship Programme welcomes candidates from any of our 190 member countries. All the relevant information about our Internship Programme may be found on our official web site. Candidates should familiarize themselves with the conditions of internship and the requirements prior to applying for this internship. The Office of Legal Affairs provides substantive legal advice to INTERPOL’s General Secretariat and Governing Bodies on all legal aspects of INTERPOL’s mandate, operations and administration.It is responsible for all legal issues within the Organization of an institutional, regulatory or operational nature and for matters which require the protection of the Organization’s legal interests. It also develops legal programmes with a view to enhancing international cooperation in criminal matters, with a specific focus on data protection issues. The External Relations Unit drafts, amends or interprets legal frameworks and instruments related to INTERPOL’s External Relations. In particular, the External Relations Unit provides advice on all legal aspects related to relationships with other International Organizations, Non-governmental Organizations, Member Countries, Private Sector, Civil Society which include cooperation agreements, public-private partnerships, complex financial contributions and other forms of new operational and strategic partnerships. The External Relations Unit negotiates, amends or interprets Agreements on Privileges and Immunities, dealing with major questions arising out of the Headquarters Agreements with France and other host countries. 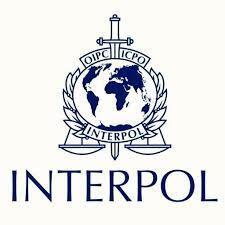 The External Relations Unit provides guidance and legal framework for the protection of the image of Interpol, its distinctive signs (use of its name and emblem), and its intellectual property, copyrights, included when communicating to civil society.